The Desert Tech SRS-A1 is definitely not the average bolt gun as it’s packed with a host of sleepy surprises. This precision rifle is packed with features and abilities some of which seasoned rifleman would humbly welcome. Desert Tech’s flagship rifle, the Stealth Recon Scout, has a bolt-action, bullpup design and comes in eight different configurations. The sample SRS-A1 arrived in a OD Green Pelican case that looked like it had been kicked out the back of a C130. But inside, I found a rifle in great shape and much smaller than I had expected. With a 22-inch barrel, the rifle measured in at 33 inches overall. While it felt heavy, all the weight was distributed at the rear of the rifle making it easier to support free hand. Running the action, the enlarged tactical bolt knob made it easy to slide the bolt home. The trigger scared the crap out of me. I was expecting a long and slightly heavier take up, but instead I felt the exact opposite. Could this be? A bullpup with a precision trigger straight out of the box? The SRS-A1 now had my full attention. Out of the box, Desert Tech guarantees a 1/2 MOA with match grade ammo. Manufacturers guaranteeing less than 1 inch MOA is common, so a 1/2-inch shows confidence. Nonetheless, Desert Tech did not disappoint. 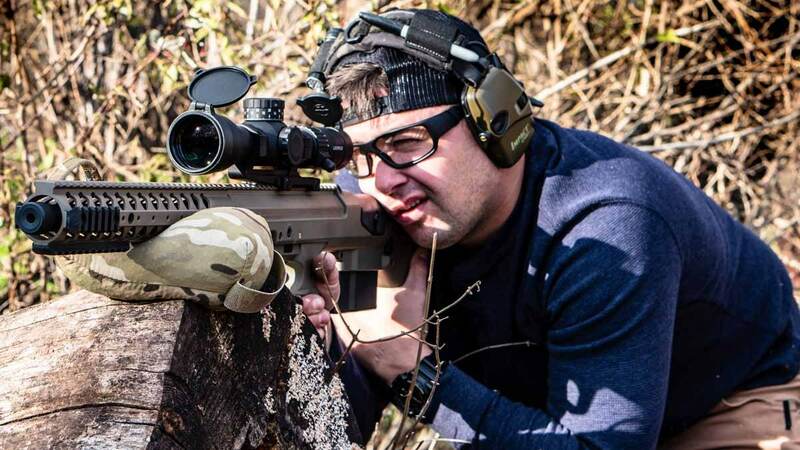 Using a Leupold Mk5 HD scope, I zeroed the rifle with Gorilla Ammunition match grade 168gr .308 at 100 yards. I shot a five-shot group at just under an inch. While I had a flyer that opened up the group, which was entirely my fault, the first four shots landed all on top of each other. Next, I wanted to really run her through her paces, so I brought the rifle out to a local farm on a 30-degree day with a consistent 15 mph crosswind. 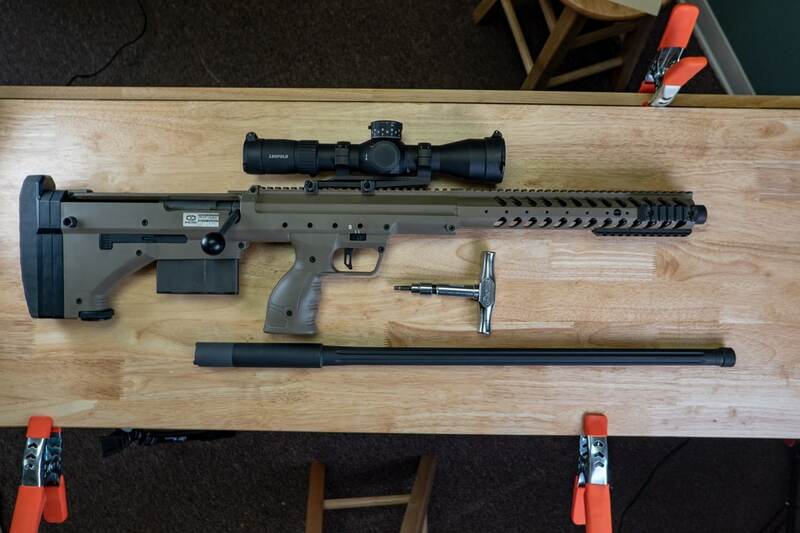 At 400 and 600 yards, the SRS-A1 connected with steel with regularity. It was easy to get comfortable behind the gun and make consistent trigger presses. I did my part and the rifle did its part. Precision rifles are typically heavy, long and cumbersome, but the way the SRS-A1 handled was refreshing. Utilizing an interchangeable barrel system, made for an enjoyable feature as it allowed me to shoot both .308 and 5.6 Creedmor.